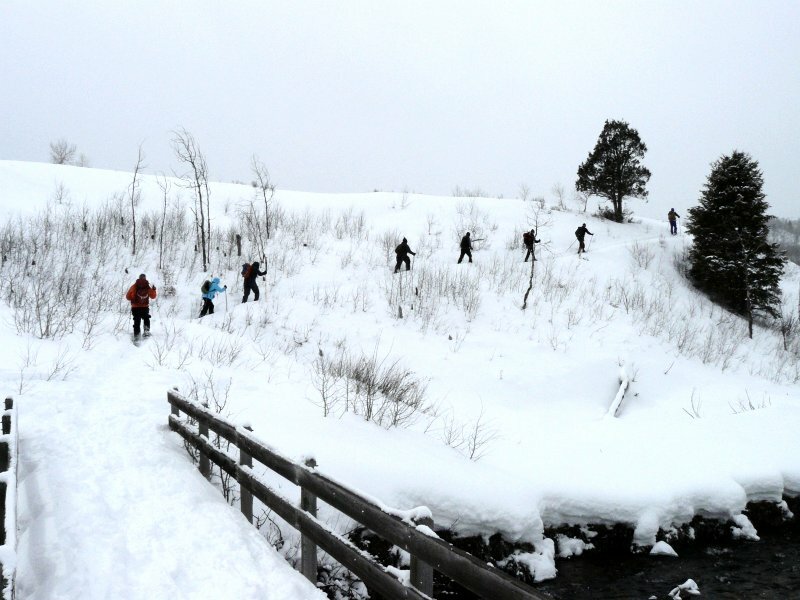 Led by Jim, eighteen people joined this ski/snowshoe trip. Dave P., Dave W., Deanna, Wes, Betty and Jim were on skis, while Terry, LaVae, Kip, Joe, Ryan, Jane, Jeanne, Tim, Alex, Stephanie, Dan and Nikki used snowshoes. We met in Logan as usual, assembled into carpools and drove up Logan Canyon to Blind Hollow. It was good that we carpooled, since our cars filled the remaining space at the parking area..
Several participants avoided the 0.3 mile walk along Highway 89 from Blind Hollow to Temple Fork by crossing the road and climbing over the end of the hill. However, this turned out to be more trouble than it was worth, especially since this year's low-snow conditions made for plenty of room along the roadside. With so many people, the group tended to spread out as they traveled up the trail but our walkie-talkie radios enabled us to keep in contact. We divided into two smaller groups after our lunch at the first footbridge. Jane, Jeanne, Tim, Betty, Terry, LaVae, Kip and Nikki returned to the trailhead and arrived in Logan about 2:30. 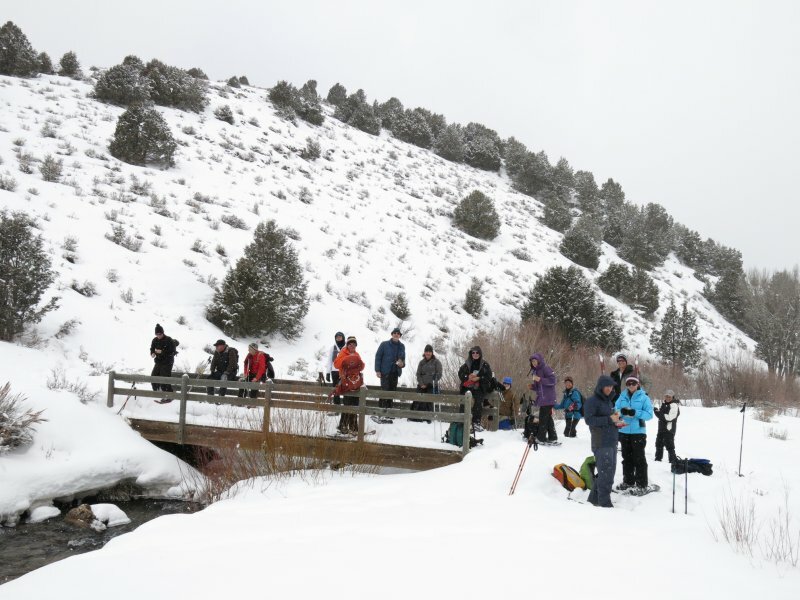 The ten remaining travelers continued upstream, crossed over Temple Fork Creek on the second footbridge and headed south toward Hunsaker Corral. The snow conditions here made for difficult progress. There was a soft breakable crust with 4-6 inches of new powder above and unconsolidated snow below. The skiers usually were able to stay on top of the crust, but the snowshoers struggled as they repeatedly broke through to their knees. About 1/2 mile from Hunsaker Corral we headed west, uphill directly to the road in an attempt to find better snow. 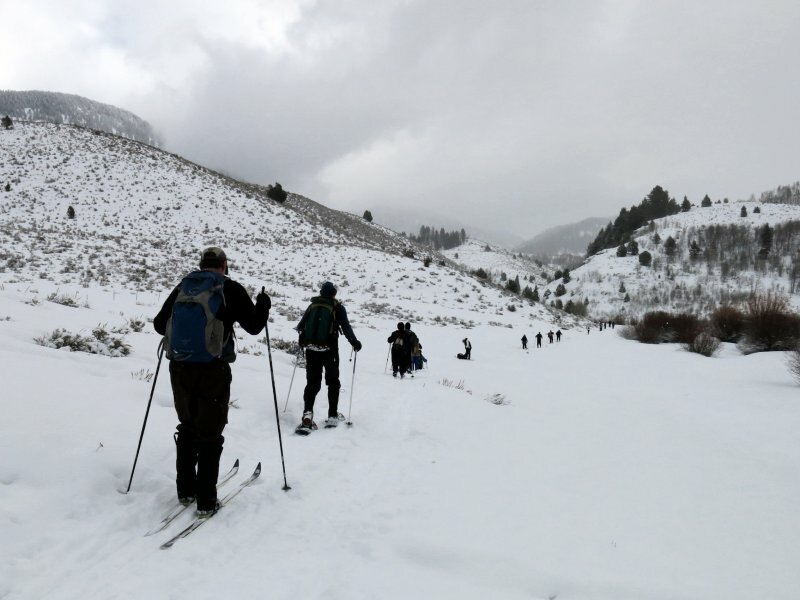 Conditions improved a little for the snowshoers, but they continued to break through for much of the way back. 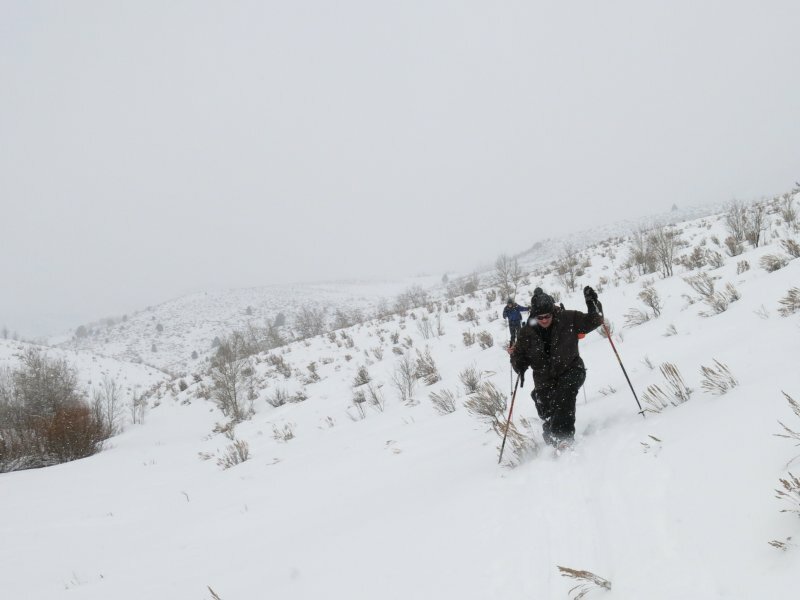 One person had showshoes that normally would be considered too large for her weight, but the extra "flotation" meant she was the only snowshoer who was able to keep consistently on top of the snow (something to consider when selecting snowshoes for off-trail conditions). We saw a few birds along the way, including a dipper, a kingfisher and a Townsend's solitaire. This was an enjoyable trip, but tiring for those who took the longer option. (Maybe next time we can go to the sawmill site instead of the road loop, conditions permitting, of course). 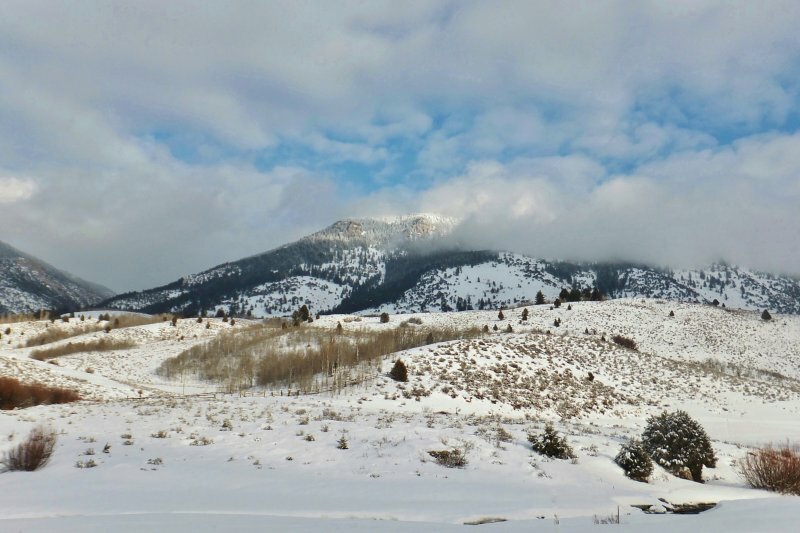 Thanks to Dave W. for the narrative and GPS data, and Dave W., Jim and Dan for photos. Our GPS track showed 4.4 miles and 340 feet of elevation for those who went back after lunch, and 7.7 miles with 720 feet of elevation for the others.